Only 40 minutes away from La Paz is La Ventana, a place on the Sea of ​​Cortez, where a natural air tunnel is created, which lends itself to Kitesurfing and Windsurfing. 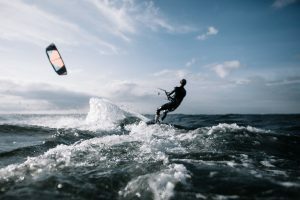 In general the whole year there is constant wind, however the official Windsurfing season is from November to March. Several establishments offer board and sailing rents for the day.